Lisa here with great news for the holidays! 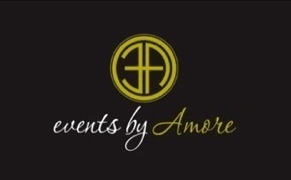 Amore (Events, Catering, and To Go), is offering a Thanksgiving feast for less than $20 a person. If you (like myself) cringe at the thought of cooking a huge Thanksgiving meal, this is the plan for you! The Family Feast includes a 10-12 pound turkey (Butter and Sage Basted, Cider Brined or Herb Crusted), 1 quart of Cranberry Orange Relish, 3 pounds of Pancetta and red skinned mashed potatoes, 1 pound of roasted brussel sprouts, 1 pound of lemon brown butter french beans, 2 pounds of cinnamon and nutmeg spiced candied yams, 2 pounds of Apple pecan stuffing, 1 quart of roasted giblet gravy, a bakers dozen of baked rolls, 1 8-inch creme brule and 1 apple pie that serves 8-10 people; all of that for only $198. It was a huge mistake to write this before lunch. Everything sounds incredible and I don&apos;t even like turkey! And if you have more than 12 people attending your Thanksgiving extravaganza, you can add a maple glazed spiral ham that will feed 10 to 12 people and the cost is only $240. What a great deal! Amore is part of the great Tampa Bay Dining scene, and does more than just holiday meals. They are working to provide healthy meals packed as grab n&apos;go for the person on the run (that&apos;s everyone I can think of). The meals are glutton free, low fat, low carb and have no added oils, sugars and salt. Best of all, they are prepared for you! (that&apos;s my kind of meal). I hate the question of Where To Eat, but I think Amore&apos;s grab n&apos;go meals are a great answer! They are open Monday through Friday from 7:30am to 7:00pm, and on Saturday from 10:00am to 2:00pm. Amore is located on Henderson Blvd in Tampa. That&apos;s all for now but keep checking for more Tampa Florida News updates!